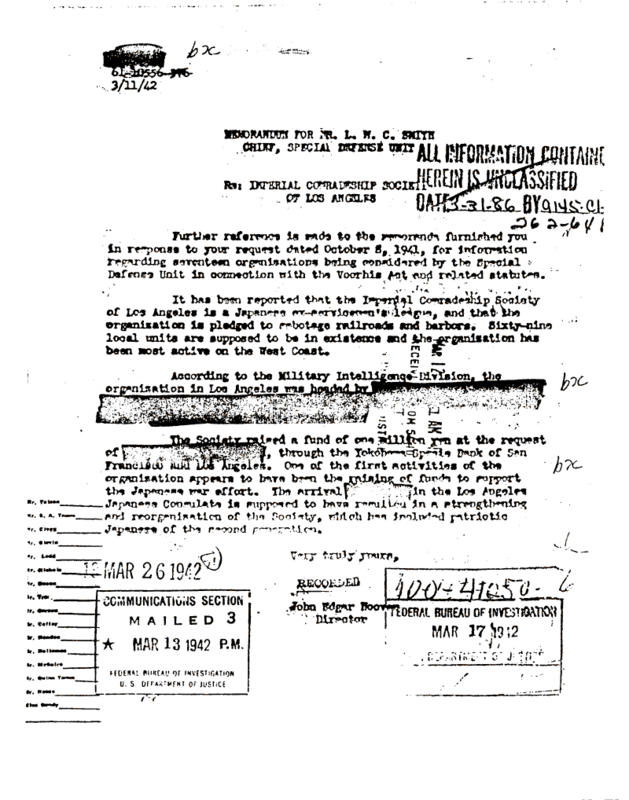 Document Notes: FBI Director Hoover reports to the Chief of the Special Defense Unit on an MID report concerning the Imperial Comradeship Society of California. Report includes pledge to do sabotage and inclusion of second generation Japanese (U.S. citizens) in the organization. This memo draws from MID information relating to this organization. It contains, almost verbatim, information in a report from Hawaii in Oct., 1941.